The results from DRC’s presidential elections were a pleasant surprise for investors if taken at face value, but Verisk Maplecroft analyst Indigo Ellis has warned of a turbulent six months ahead as the true nature of the country’s powerbase takes shape. 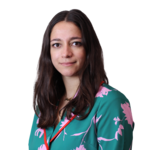 Indigo Ellis is an analyst covering political, business and investment risks in Central Africa for Verisk Maplecroft's clients across the extractive and financial industries. She is the lead analyst for the DRC. Her recent work has focused on the introduction of the new mining code in the DRC and its impact on mining operations in the country. Prior to joining Verisk Maplecroft, Indigo worked at the European Commission in Brussels. She has a master's degree from LSE and a bachelor's degree from King's College London and Ecole Normale Supérieure in Paris. "Common perception was it was going to be an unfair result, that it would be manipulated within the electoral commission, which sits in Kabila's back pocket, in favour of Shadary," Ellis told Mining Journal. "Instead, they've been manipulated in favour of [Felix] Tshisekedi." "This is likely to do with the fact the electoral commission and Kabila realised they were not able to manipulate results in favour of Shadary - it wouldn't have held up among the population and we would have likely seen a denigration into war." She said Tshisekedi "would be a relatively positive figure for mining investment", though was reserving judgement, much like the industry, to better understand the details around the new president's ascent. "The perception is any large decisions for mining investment will be delayed for the next six months until we see how the government will be formed and for that we need to look at the legislative elections, which indicate the ruling party (Kabila's party) will maintain power," Ellis said. "In a country like the DRC, where so much of the government plays a role in big mining decisions, it's cliché, but there is a tangled web of mining interests and political figures - that is very real. "So, until the positions of policy makers and decision makers are confirmed, and we're assuming they will change, mining companies will continue to watch the situation rather than commit capital until they understand the extent to which Kabila will continue to pull the reins from the back seat."